The South Asia Union Catalogue is a cap-stone program gathering existing bibliographic records and combining them with new cataloguing created under current projects to create a definitive statement on publishing in the South Asian subcontinent. The South Asia Union Catalogue intends to become an historical bibliography comprehensively describing books and periodicals published in South Asia from 1556 through the present. In addition, it will become a union catalogue in which libraries throughout the world owning copies of those imprints will register their holdings. Scholars of South Asia in the U.S. and elsewhere in the world will be given free access to the historical bibliography and the holdings information through the on-line South Asia Union Catalogue. The four phases of the South Asia Union Catalogue program are defined by the regions of book production. Phase I encompasses south India and Sri Lanka. Publications in the Dravidian languages plus Sinhala, an Indo-Aryan language, predominate. Phase II covers eastern South Asia and colonial Burma. Most publications are in eastern Indo-Aryan, Tibeto-Burman, and Austro-Asiatic languages. Phase III covers north central South Asia, including Nepal. 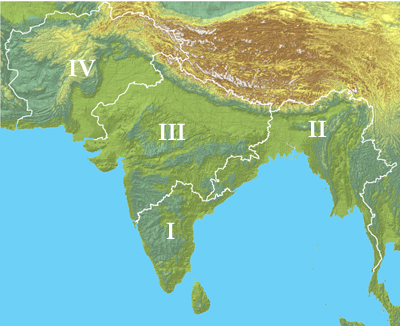 The majority of publications are central Indo-Aryan and the most frequently occurring languages of imprints are Nepali, Marathi, Gujarati, and Hindi with its dialects. Phase IV ranges over western South Asia and includes Afghanistan, Pakistan, and parts of northwestern India. Languages of the region include several from the western and eastern Indo-Iranian and western Indo-Aryan families. Most of those languages use the Perso-Arabic script. Much of the bibliographic data currently included has been provided by the Library of Congress, the South Asia Microform Project at the Center for Research Libraries, the Roja Muthiah Research Library, and the University of Chicago Library's Southern Asia Department. Specimen entries for the South Asia Union Catalogue demonstrate the use of South Asian regional scripts in bibliographic and authority records. The Sahitya Akademi (New Delhi, India) undertook a pilot project in 1993 for a Catalogue of Nineteenth-Century Indian Publications. Mr. K. C. Dutt's report on that project includes information that was critically important in planning the South Asia Union Catalogue. The South Asia Union Catalogue is closely affiliated with the Digital South Asia Library and the Center for South Asia Libraries.